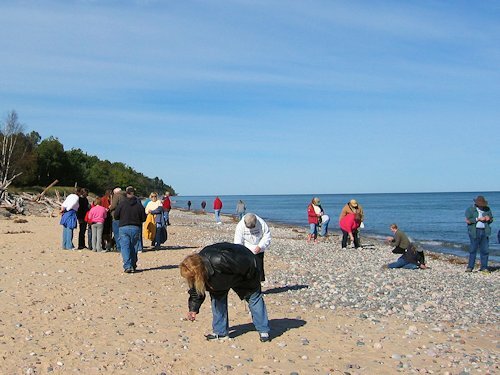 The beach pictured above was taken during the 2013 Rock On Lake Superior Agate Festival. 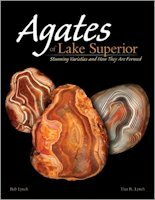 For us picking was pretty good; Jo found four agates in two days of rock picking. 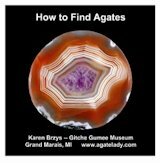 Several others who attended the festival also found agates. What helped our success were storms and very high winds the four days before we arrived that dumped lots of fresh rock material on the beach. 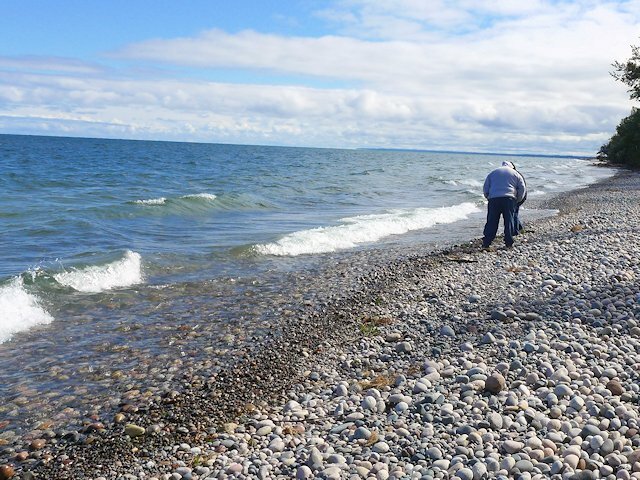 The shoreline from Grand Marais, Michigan going east to Whitefish Point offers some of the best agate finding opportunities around Lake Superior. 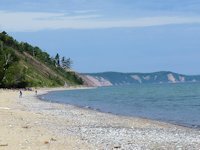 We've profiled some of the most accessible beaches, which while loaded with fine specimens aren't necessarily the best for finding an agate - because they are accessible and many rock hounds troll them. 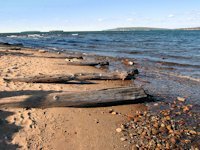 But for those willing to drive many miles down sand and gravel forest roads and do some hiking, there are many isolated beaches along this stretch of Lake Superior that will give you better odds. 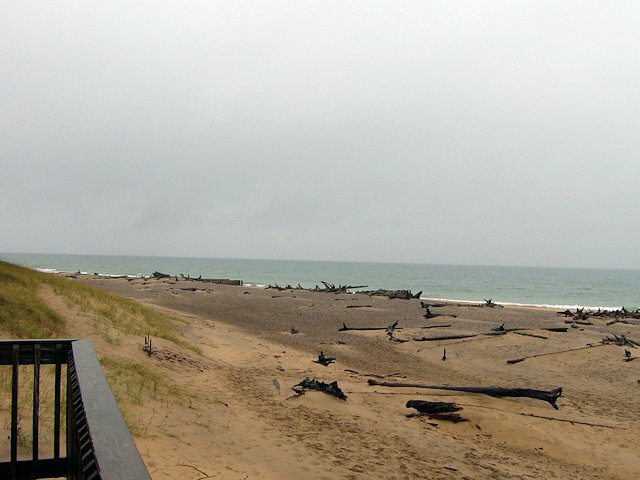 The beach in front of the historic blast furnace that produced pig iron in the 1800s offers opportunities to find slag samples left over from the operations of the furnace. 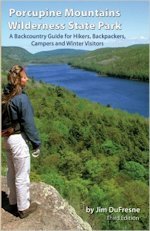 But for agate hunting and rock picking, you've got to walk north and west from the campground beach. 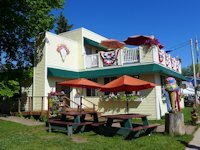 Eventually you'll run into some private homes fronting the beach, but the beach itself may remain in the public domain. 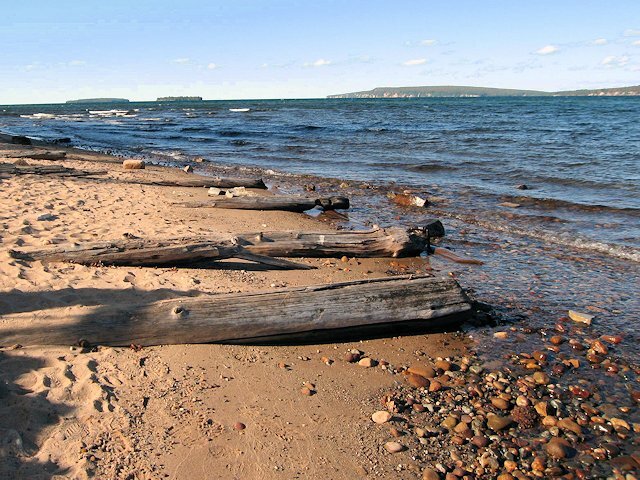 One of our favorite rock hunting beaches for its length and its convenient access from the Woodland Park campground. 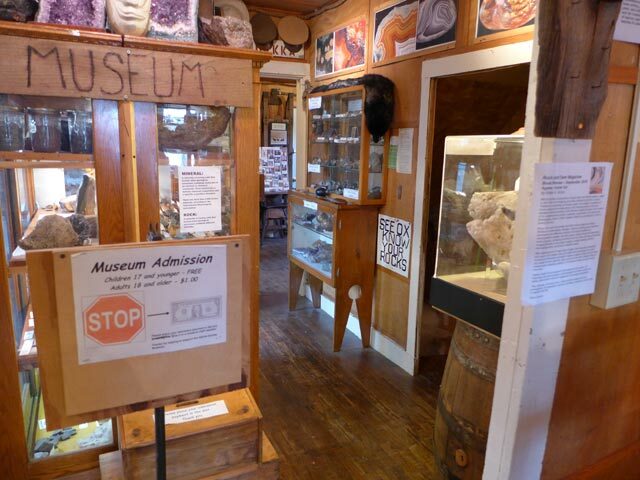 Across the street from the park is another attraction for rock and agate hunters - the Gitche Gumee Agate Museum. The Grand Marais beach is extensive stretching from the Sable River in adjacent Pictured Rocks National Park all the way to the breakwater by the Coast Guard Station. 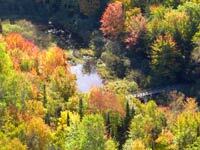 From Grand Marais, go east on Highway H58 about 10-12 miles. 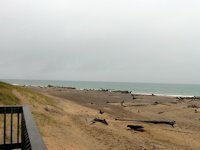 Unfortunately the road changes from pavement to sand/gravel before you get to the State Forest Beach. 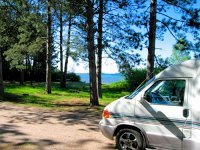 You can access the beach at the campground or further down the road there are several parking areas where H58 comes quite close to the lake. 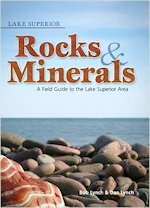 Generally you should find good rock picking here and because H58 is unpaved the beach won't have the competition for prized specimens that other top beaches have. 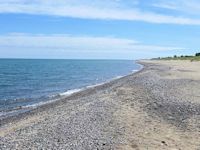 And if you have come this far on a rougher road, you can continue on east to another top rock picking beach at Muskallonge State Park. 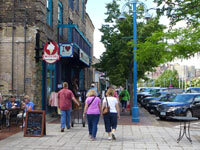 The most comfortable access to the Deer Park (on paved roads) is from Newberry, via Highways 123 and 407 (27 miles). 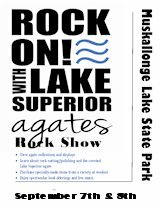 Muskallonge State Park is the site of the annual Rock On Lake Superior Agate Festival so is well known among Lake Superior Rock Hounds. 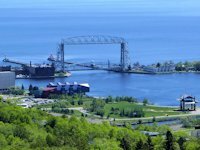 But the lack of a paved road between Grand Marais and Deer Park puts this off the usual beaten path of the Lake Superior Circle Route. So not as heavily picked as some other top beaches. 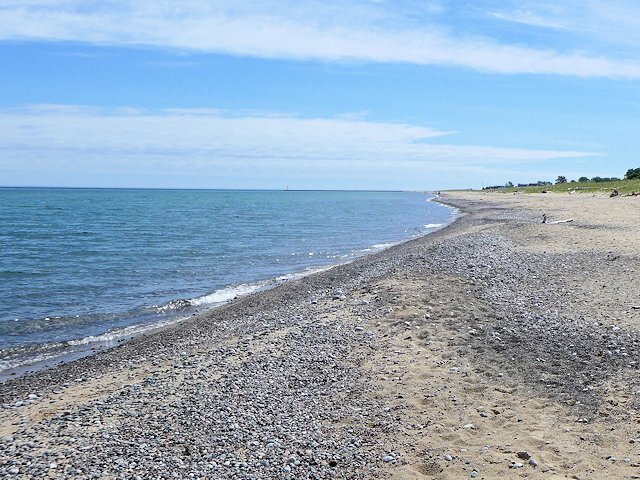 There's at least 3 miles of accessible beach. 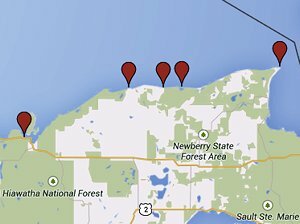 The downside of its remoteness is unless you want to handle the mostly sand road to Grand Marais, you'll have to retrace your path 27 miles back to Newberry. 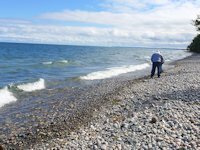 While we've visited Whitefish Point a few times (to tour the lighthouse and migratory bird observatory) we didn't realize there was good rock picking and agate hunting here because the beach at the point itself is primarily sand with few rocks. But fellow rock hounds have clued us in to its potential. 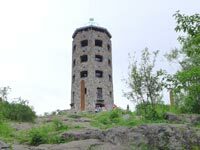 You take the trouble to walk several hundred yards west of the Lighthouse observation deck to run into some good rock picking territory. 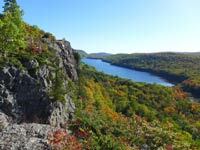 And more adventuresome rock hounds can drive along West Wild Cat Road to access some good rock beaches even further west of the point.